Dr. Jane Goodall probably needs no introduction, but that never stopped a writer with a blank WordPress page to fill up. (Wink, nod.) I would never, ever voluntarily leave the creature comforts of a major metropolitan city for an extended period of time and reside in the jungle. (No coffee? No croissants? No cognac? No cigars? No, thank you.) But if anyone could have (almost) persuaded me to do it, it would have been the dedicated and passionate Dr. Goodall. Her commitment to her work and her love of animals really impressed me. Decades ago, in one of my more shallow mental moments (there were many), I remember saying to myself: I’m certainly glad she’s advocating for those monkeys because I think they’re hysterical to watch and I’d hate to see them extinct. 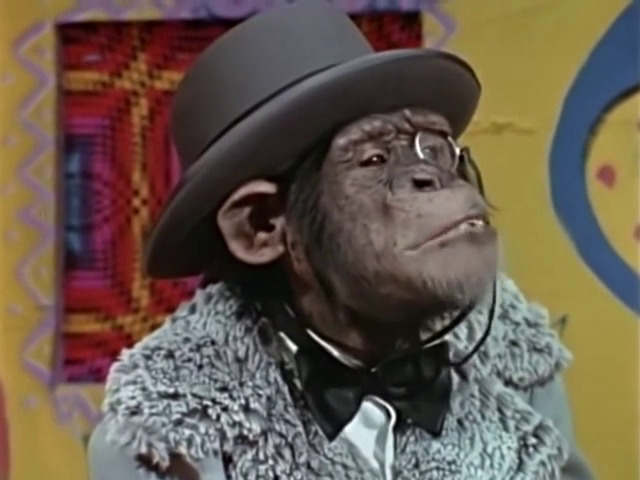 This, obviously, from a guy who grew up watching Saturday morning TV episodes of Lancelot Link, Secret Chimp. My thinking, thankfully, has evolved. And Jane Goodall’s work has continued. Chimpanzees, the African continent, and the world as a whole are better off because she packed her bags and set off into the bush. Now, as I watch clips of her life and work on Youtube and documentaries online, I imagine running into her on the street. I’d paraphrase a line I’m sure she’s heard a million times before. Only this one would have my own personal spin on it. 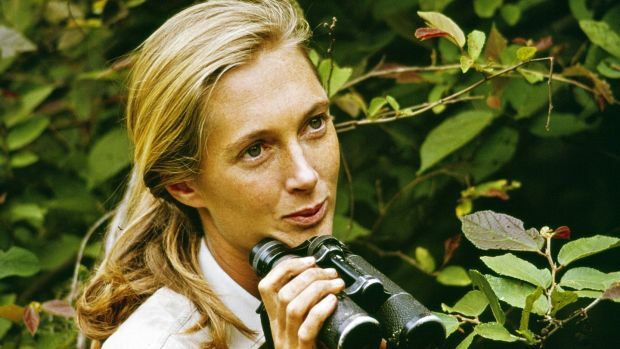 I would simply say: ‘Me grateful…you Jane.’ Happy Birthday, Dr. Goodall…we’re all grateful that you’re you. At the age of 26, Dr. Goodall’s passion for primates compelled her to leave a comfortable Old Money life in Britain and move to the African jungle, where she lived in primitive conditions for years in order to study chimpanzees. Her discovery that chimpanzees make and use tools is considered one of the most important revelations of the 20th century. In 1977, she established the Jane Goodall Institute which advocates for the conservation of natural resources and open spaces. In 2002, she was named a United Nations Messenger of Peace. Considered to be the world’s foremost expert on chimpanzees, Dr. Goodall is best known for her over 55-year study of social and family interactions of wild chimpanzees in Gombe Stream National Park, Tanzania, which began in 1960. Thanks to her advocacy, fewer animals are abused in laboratories and more enjoy a safe existence in the wild. Thanks to her research, we as humans see how much more we have in common with not just chimps, but all animals. Hopefully, her work will inspire each of us to be kinder. If you love animals and think you may want to work with them, learn about the life and work of Dr. Jane Goodall. God bless her. And thank you Byron for reminding us of what a fine example she is. Dr. Goodall has been a presence, of sorts, in my life for close to half a century. Our parents used to sit us down to watch programs abut her work on PBS way back in the very early 1970, and I’ve periodically followed her work with great interest ever since. An amazing and committed researcher. We could use more like her. Fascinating how people from a certain background often share this sensitivity for the countryside, nature and animal welfare. We’d need more such people, and not only in the African jungle. I’m thinking of a former Spanish naturalist who stood up for the protection of the Iberian wolf. Alas, in Spain there is still no permanent ban on hunting this noble animal. Sadly, while we have put rovers on Mars, we are still incapable of protecting life in our backyard.